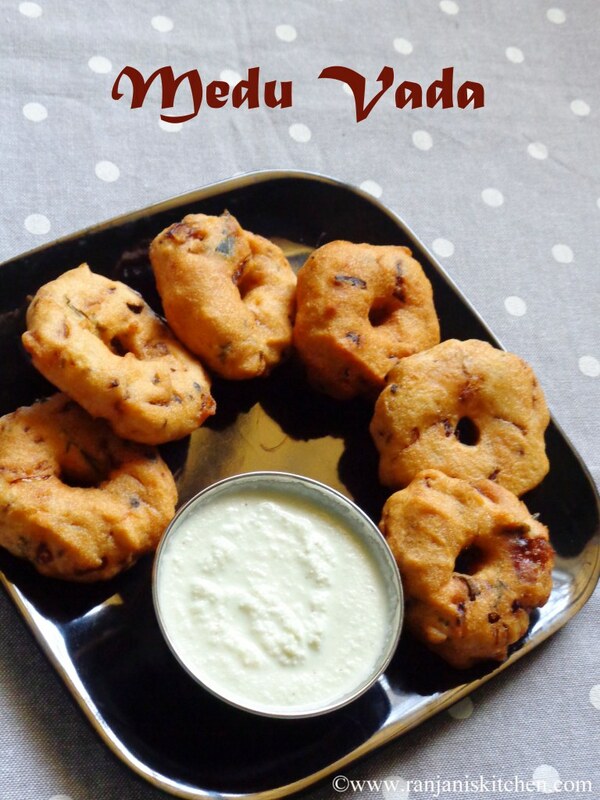 Medu Vada/Ulunthu Vadai is a traditional recipe in south indian cuisine. It’s a best accompaniment with pongal, sambar and chutney, which is used to prepare in all occasions and festives in south indian houses. 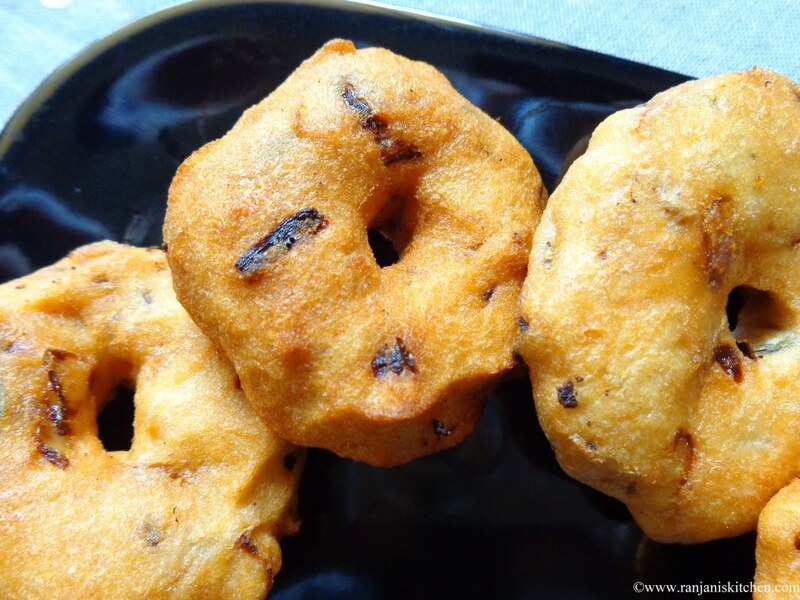 But the successful vada depends on the consistency of the batter. The fluffy and frothy batter will give soft and crispy vada. Check out the notes below for proper consistency. 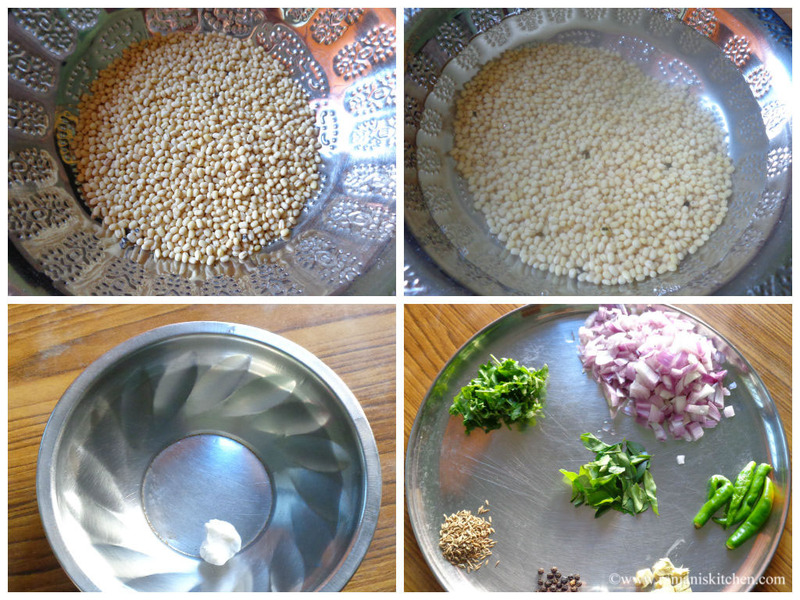 Soak urad dal in water for 2 hrs. Then drain the water and rinse with tap water for 2 to 3 times. Now grind it in a blender or grinder by sprinlikg some water. Don’t add too much of water. Sprinkle some water little by little in proper intervals. Once it reaches fluffy and foamy batter, take it in vessel and mix the ingredients we have except oil. Mix equally to blend everything. Heat oil in a pan. Once it heated, keep it in medium flame. Then take plastic cover like milk cover,wash and grease with some oil. Then take a small portion from the batter. Form a round shaped and press to flat round shape. Place a hole on the centre and take gently then immerse into oil. Fry on both sides till golden brown. Then drain the oil and place it in kitchen towl to absorb the extra oil. 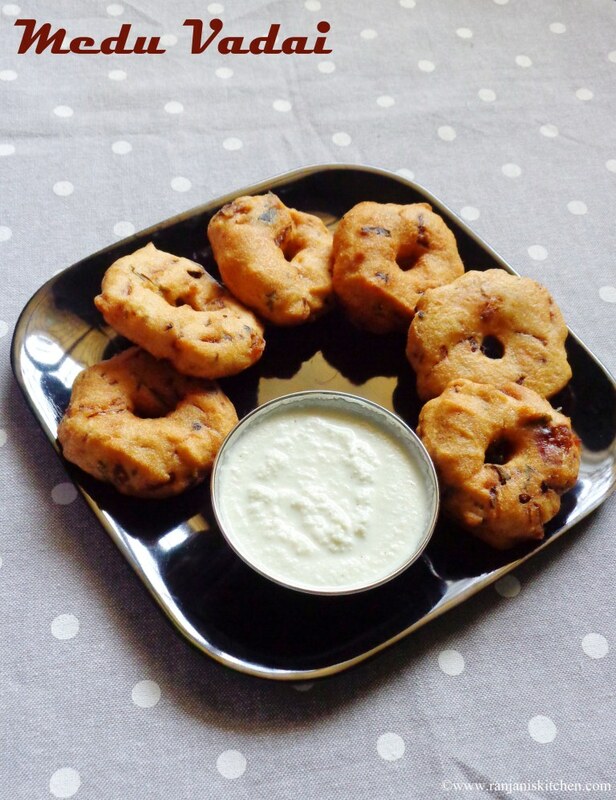 Serve hot and crispy vadai’s with coconut chutney or sambar. To check the proper consistency of batter, take a small pinch of batter and drop it in water. If it starts to float on water, that’s a exact consistency. While frying Vada’s, keep the flame in medium flame.If you keep it high, the inner part of vadai will not cook properly. 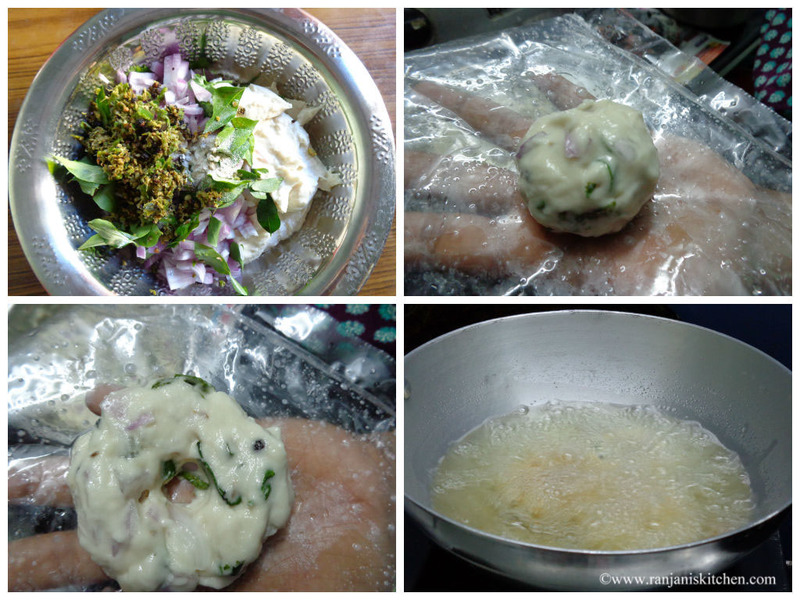 Instead of using chopped green chillies,you can give a quick grind of it and add to the batter. 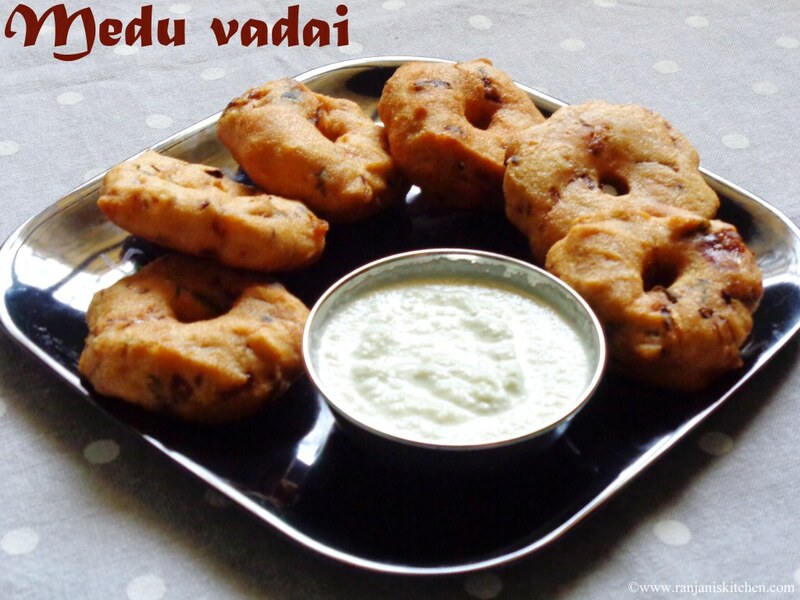 Vada looks crispy tasty……love the texture!! crispy & tasty ..my all time favourite..
Well said..getting crispy vadas is bit tricky.. yours looks absolutely perfect.